Non-Destructive excavation available across Brisbane, Gladstone, Sunshine Coast, Gold Coast, Adelaide, Melbourne, Wollongong and Sydney regions. At VAC Group, we serve urban areas such as Sydney, Melbourne, and other cities in the Southeast Australia area. Although we work in rural environments, working on projects in sprawling cities means we need to take a tentative approach to highly-populated areas. Soft digging excavation is often quieter, which means your work is less disruptive to the local community. There's less mess in suburban places where members of the public expect to walk, which also means less clearing up after. As for areas that are filled with nature, our approach is less disruptive than other methods, allowing you to provide an environmentally-friendly service. At VAC Group, we've been serving the Southeast Australia community since the year 2000. With each project, we deliver a personalised service that involves clear communication. An all Australian, non-destructive digging team. 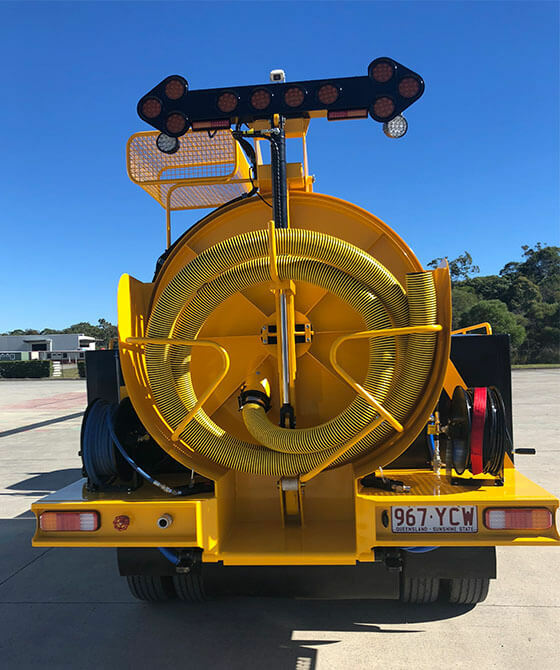 When you need a non-destructive digging service in areas such as Sydney or Brisbane, you need a company with the latest technologies and lots of experience. At VAC Group, our approach to non-destructive excavation will ensure your construction site remains safe. With a team of more than 155 staff and 85 vacuum excavation units, we can tackle all kinds of soft digging excavation projects. Whether you need non destructive digging in Brisbane or you're working in the Melbourne area, we'll pull out all the stops to ensure your project remains safe. One of our risk management techniques involves the use of remote monitoring. With our remote monitoring equipment, we're quickly made aware of any potential hazards. If such an incident arises, we can send a member of the VAC Group team to assist you. At VAC Group, we're proud of the fact that we're an all-Australian team with all-Australian machines. To us, this means our non-destructive excavation efforts in areas such as Gladstone and Adelaide run smoothly. While our workforce is large, we maintain close contact with each other in terms of procedures and safety techniques. It's thanks to this that we can use soft digging excavation to protect underground utilities and other infrastructures that could pose a risk to your projects. While blasting areas with high-pressured water and air, we use non-destructive excavation to reveal utilities without damaging them. While some teams prefer to use metal instruments, we recognise that doing so can lead to utility damage. In some cases, this may result in a small inconvenience. In others, however, it can lead to significant safety hazards, including large gas leaks. Soft digging excavation has a longstanding history of revealing hidden utilities with greater accuracy and less damage. Although our approach minimises harm to the environment we're tackling, our teams can still work at speed. As a result, you're not sacrificing a time-sensitive approach for the sake of using non-destructive methods.